This is an agreement between you ("You") and D1Scout (the "Company"). The entities are all under the same ownership, and when referring to D1Scout in this policy, all three entities are being spoken for. "We" and "Us" means both You and the Company. You acknowledge that any and all information, content, reports, data, databases, graphics, interfaces, web pages, text, files, software, product names, company names, trade-marks, logos and trade names contained on this web site (collectively the "Content") including the manner in which the Content is presented or appears and all information relating thereto, are the property of their respective owners as indicated, the Company or its licensors, as the case may be. Any graphic elements created by the Company for use on your site remain the exclusive property of the Company. Initial Term. Service is provided for either a term of thirty (30) days or one (1) year, depending on whether you select a "monthly" plan or an "annual" plan (the "Term"). In either case, the initial Term begins on the date that you register and purchase the Service (the "Commencement Date"). You are purchasing the Service for the full length of the applicable Term. This means that if you terminate Service prior to the end of the then current Term (which shall constitute a Default as described), you will be responsible for the full Term's charges as if you remained a customer through the end of the then-current Term, including, without limitation, outstanding charges, unbilled charges, and any applicable site disconnection fee, as described (collectively, "Default Charges" if assessed). In addition, you will not be entitled to a refund for any unused portion of prepaid Term charges. If you organization has chosen to implement the Online Registration module, Tournament Manager, Online Store with online payments and or credit card processing, that tool will be added to the secure section of d1scout.com. This site has been encrypted and secured in using GoDaddy SSL technology and the GoDaddy Secure Certificate. You must also have a PayPal business account and have already been approved by D1Scout to use these facilities. If you do not have a PayPal business account and require use of credit card facilities D1Scout can manage the process on your behalf however D1Scout will place in reserve a portion of the transactions to mitigate risks which include, but are not limited to transactional activity, customer disputes, type of business, credit attributes, delivery and customer satisfaction time frames. The portion placed in reserve is based on transaction volume and the frequency of charge backs and or disputes. Reserves are funds that belong to you, but are set aside to ensure your account can cover transaction liabilities. You will be notified if your reserve settings are adjusted in the future. 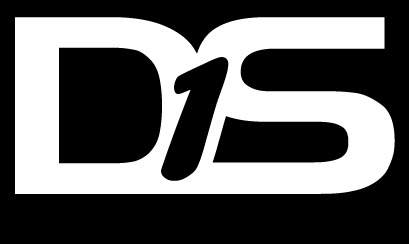 In order to set your system to accept payments please contact your D1Scout representative or support@d1scout.com. There is a fee of 4% on all credit card transactions for use of these facilities. Once the transaction is complete, You will be responsible for all refunds, disputes and or chargebacks. The funds will be directly deposited from your D1Scout site to your PayPal account. D1Scout LLC. does not distribute sell or otherwise exploit this information in any way. D1Scout allows users to pay online for website services, hosting, team management, registration fees, tournament participation fees, printing services, enrolment fees and other related activities. The receipt and confirmation page that you receive upon completion of the process will serve as your successfully received "goods". The Term for all Site Service plans will renew automatically for successive Terms of the same length without further action by or notice to you unless you notify D1Scout.com of non-renewal at least thirty (30) days before the end of the then current Term by calling customer service at 914-502-3000 X-502 and email your cancellation request to support@d1scout.com entering "Cancel" and "The site name" in the subject line. Once renewed the receipt and confirmation page that you receive upon completion of the process will serve as your successfully received "goods" and your site will be renewed for an additional year. There are no refunds through D1Scout, LLC. If you decide not to utilize the services for which you paid, you have the right to refrain from participating, however, no refunds are available. All sales through the D1Scout Online Registration system are final. All sales made through the D1Scout Online Registration are final. After completing online payment, you are brought immediately to a receipt and confirmation page. This page acknowledges that you have completed the process and the process payment. You are instructed to print that page for your records. This page is your receipt and your product. This receipt should be kept as a ongoing record of your successful payment completion. This receipt is also emailed to your specified address and a record of your order is also kept on the D1Scout Network, you may log into your D1Scout Site to view a record of the order. There are no refunds through D1Scout, LLC. If you decide not to utilize the services for which you paid, you have the right to refrain from participating, however, no refunds are available. All sales through the D1Scout Online Registration system are final. If you have questions about this return policy or need assistance contacting your organization that is serviced by D1Scout please contact us by emailing support@d1scout.com or by calling 914-502-3000. D1Scout is providing this as a service to the amateur sports community and assumes no responsibility or liability for the information provided and its intended use. We are not the AAU , USSSA,USBA, NCAA or any other entity or organization. This is not their website and they do not sponsor this website in any way. Go to their websites for official organization information. Click on the Logos located on the Tournament Listing Service home page to visit the respective websites. D1Scout LLC. does not take any responsibility regarding this data. Use of this data is completely at your own risk. Note that regardless of the "Invite" does not automatically mean that the event is sanctioned by the listing organization or party. . Check with each tournament director to determine if a tournament is sanctioned to compete under its respective organizations umbrella. We ask AAU tournament directors to post their official AAU sanction number in our database for any sanctioned tournaments. We also ask any NCAA Certified events to specify they are infact certified. Please make sure you verify AAU sanctions or NCAA verifications. Check back as often as you like for updates, additions and cancelations..
D1Scout LLC provides this information for your convenience, but does not recommend or promote any of these tournaments, events organizations or businesses. D1Scout LLC assumes no liability for these events and can not guarantee the safety, trustworthiness of promoters, accuracy of information, or ANY other matter as it relates to the event. All event information is supplied by the tournament and event organizers. If you decide to use the event and tournament information made available to you on this site, you must verify the validity of this information with the appropriate tournament or event organizers. D1Scout LLC reserves the right to reject the posting of any submitted event or tournament, links, clinics, or leagues for ANY reason including information that is unverifiable within the posting, past problems with tournaments or events, multiple complaints from participants or the reporting of unethical and or unprofessional practices by the event organizers..
D1Scout LLC will report and work closely with all law enforcement agencies to prosecute anyone that willfully and intentionally posts fraudulent or misleading information in an attempt to defraud event participants on this website. D1Scout LLC. is an independent organization that is not sponsored by any amateur or professional organization.